To make pomegranate molasses, add pomegranate juice and juice of 1/2 a lemon plus sugar to a small pot. Bring to a boil over medium heat and simmer up to 45 minutes to thicken - should reduce down to about 3-4 Tbsp. Half the peppers and clean out ribs and seeds. 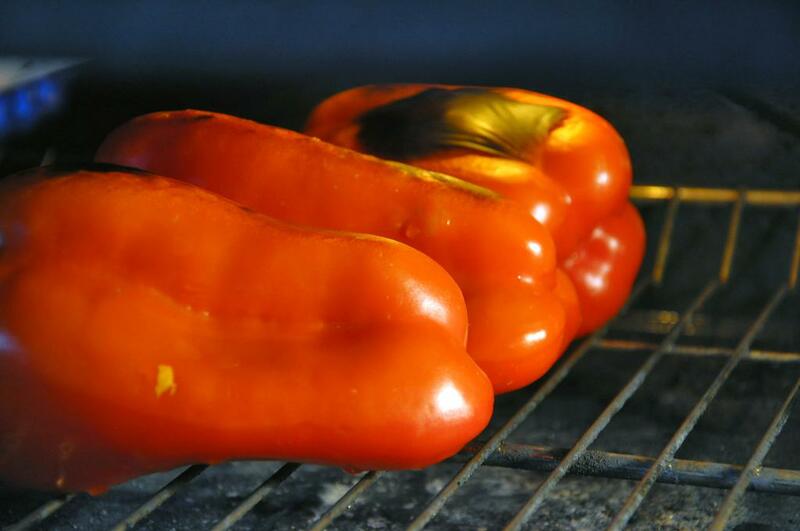 Roast them on each side under a broiler or over a stovetop until black and charred. Let cool then chop coarsely. 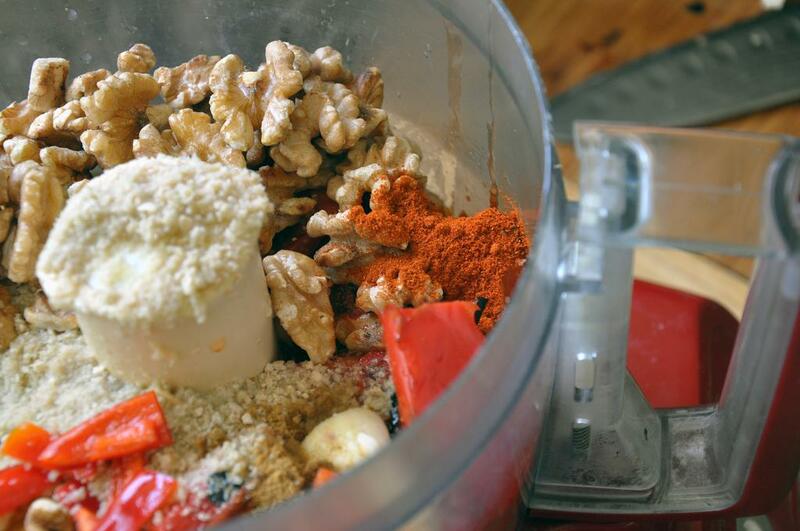 Add peppers, walnuts, breadcrumbs, garlic, EVOO, paprika, cumin, salt, pomegranate molasses, and juice the remaining 1/2 a lemon into the bowl of a food processor. 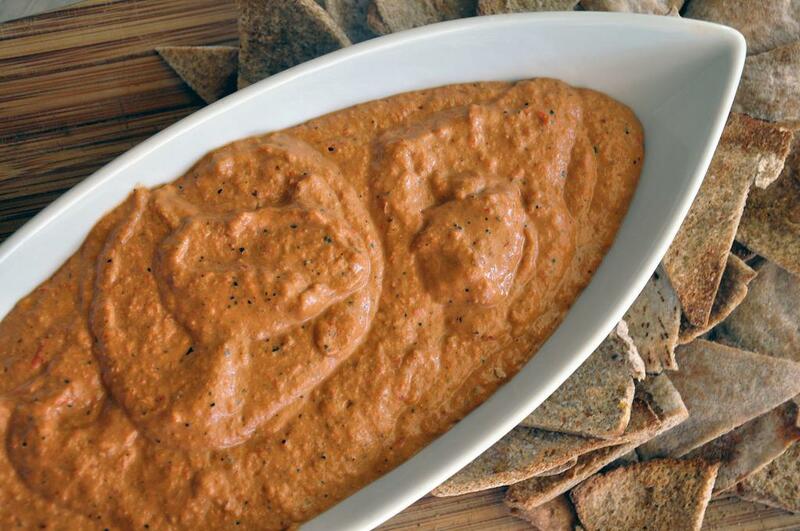 Mix until combined, and serve with chips.